Munir qualified from The Royal London Hospital in 2002. He completed training as a Senior House Officer in Oral & Maxillofacial Surgery at Kingston and St. Georges Hospitals. During his various postings he was awarded The Membership of the Faculty of Dental Surgeons, England. Furthermore, he has worked in both primary and secondary care and joined Kings College Hospital as a Specialty Doctor in Acute Dental Care. He is currently a Trust Dentist and Clinical Lecturer in Conscious Sedation at The Royal London Hospital and provides general dentistry on the other days. In addition to his formal training, Munir has been trained in acupuncture for the head and neck region and obtained a Medical Diploma in Clinical Hypnosis and runs a specialised nervous patient clinic. He has also completed his postgraduate training in Intra-Venous/Oral/Inhalation (gas and air) sedation at the Eastman Dental Institute. 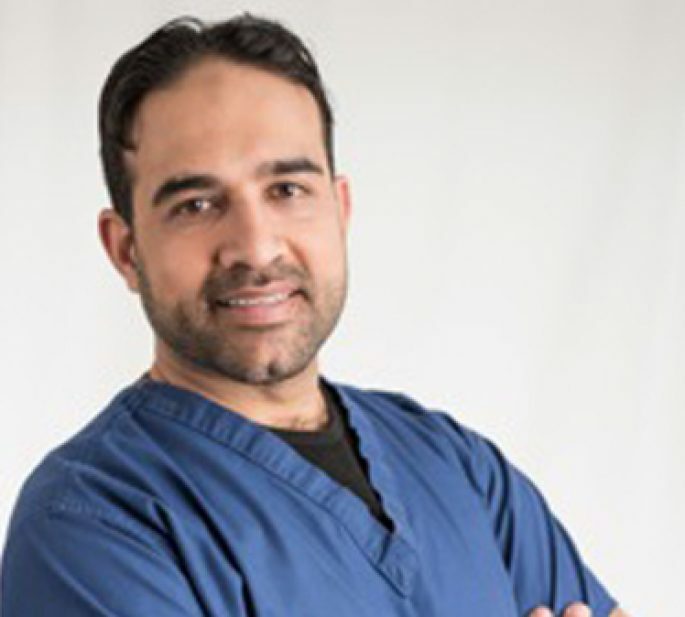 Munir is available at our practice during the day and, by appointment, on evenings and weekends, where he offers the following treatments under local anaesthetic, with or without IV Sedation; general dentistry, routine extractions of wisdom teeth, difficult and retained root extractions. He also offers his services in conscious sedation for our restorative and endodontic cases. Pearl Dental Clinic is open 7 days a week from 9am to 10pm. You can book an appointment by calling us on 020 3613 3108 or emailing us or book an appointment online.